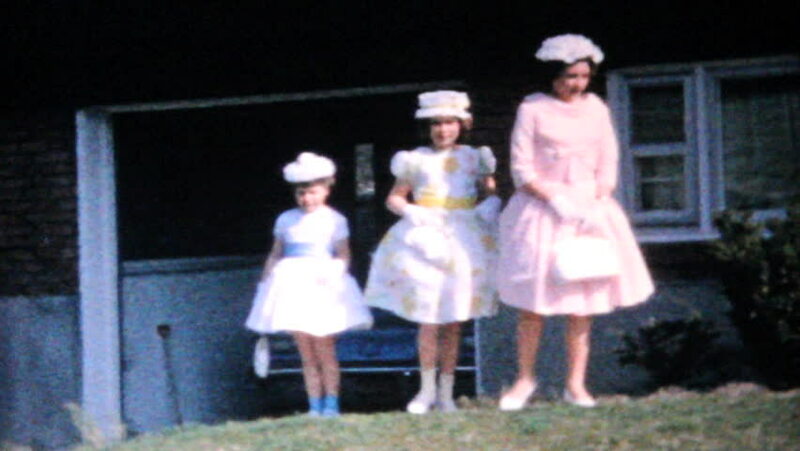 JOHNSTOWN, NEW YORK, 1964: Three pretty sisters model their new Easter dresses in front of their home in the suburbs in 1964. 4k00:32KYIV, UKRAINE – FEBRUARY 6, 2017. Model on the catwalk. Models. Trend, style. Fashion industry trend and style. hd00:30Pupils are dancing in a small circle together and they are stumping with their feet. Then they make a bigger circle and go apart. hd00:58KYIV, UKRAINE – FEBRUARY 5, 2017. Stylish model on the catwalk. The model goes along the catwalk. Presentation of clothes on the catwalk during a fashion show. Model. Models. hd00:13KYIV, UKRAINE - FEBRUARY 5, 2017. . Model on the catwalk. Models. Trend, style. Fashion industry. Catwalk. Fashion show. Model. Models. hd00:13KYIV, UKRAINE – FEBRUARY 6, 2017. Show in the fashion week. Catwalk. Fashion show. Model. Models. The model goes along the catwalk. Presentation of clothes on the catwalk during a fashion show. Model. hd00:13KYIV, UKRAINE – FEBRUARY 6, 2017. Catwalk. Fashion show. Model. Models. The model goes along the catwalk. Presentation of clothes on the catwalk during a fashion show. Model. Models. hd00:17KYIV, UKRAINE – FEBRUARY 4, 2017. Model. Model business. The model shows the clothes to spectators at the fashion show. Show in the fashion week. Stylish model on the catwalk.